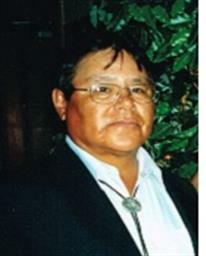 Of Saugeen First Nation #29, passed away at Grey Bruce Health Services Owen Sound on Monday April 22, 2013. Phillip James Mason at the age of 58 years. Loving husband and best friend to Janice (nee McRae) for over 23 years. Cherished father of Danielle Roote and her husband Richard Lees, of Saugeen. Devoted grandfather of Landon Ritchie-Roote and Isabella Lees. Brother of Gary Mason (Doug), Theodore Mason (Joanne), Allan Mason (Bonnie), Elwood Mason, all of Saugeen, Shirley Elliott, of Cape Croker, Marie Mason, of Saugeen, and Gayle (Bruce Stark), of Sauble Beach; and brother-in-law of David McRae, of London, and Louise McRae (Richard Mathers), of Ottawa. Sadly missed by his many nieces and nephews. Predeceased by his father and mother James and Helen Mason; father-in-law and mother-in-law Roy and Hazel McRae; sons Landon Bernard-Roote and Greg Roote; and brother Matthew Mason. Family invite you to gather with them for visitation at the Wesley United Church, Saugeen First Nation on Wednesday, April 24, 2013 from 7-9 pm, where a service to celebrate Phil's life will be conducted on Thursday afternoon at 2 pm (visiting from 12-2 pm prior to the service). Cremation to follow. Donations to Little NHL fundraising or the charity of your choice would be appreciated. Arrangements entrusted to the Thomas C. Whitcroft Funeral Home & Chapel, 814 Bruce Rd. 8, Sauble Beach (519) 422-0041.